The Battleship North Carolina is a great family friendly adventure in Wilmington, North Carolina. Ashley and I, on our 2014 trip to North Carolina, had the opportunity to explore the Battleship North Carolina. The Battleship North Carolina is a place you can literally spend hours soaking in the history of WWII and the stories of the sailors who served on the Battleship North Carolina. The Battleship North Carolina is is a fun family friendly adventure that we would highly recommend visiting and we look forward to visiting again in the future. Cape Lookout National Seashore is an undeveloped barrier island in North Carolina that is a must visit for any outdoor enthusiast. Ashley and I visited Cape Lookout National Seashore on our most recent visit to North Carolina this past summer. Cape Lookout National Seashore is a low, narrow barrier island that runs for 56 miles from Ocracoke Inlet on the northeast, to Beafuort Inlet to the southwest. There is plenty for the whole family to do when visiting Cape Lookout National Sea Shore, from hiking, swimming, exploring the Cape Lookout Lighthouse, seeing wild horses, and so much more. Directions to Trailhead: Ashley and I got to Cape Lookout National Seashore by using the Harkers Island Visitor Center, which is located on the eastern end of Harkers Island, approximately 20 miles (30 km) east of Beaufort, NC and 30 miles (50 km) south of the Cedar Island terminus of the North Carolina State Ferry route from Ocracoke Island to Cedar Island. This visitor center is one of two Ferry Gateways to the Cape Lookout Light Station and Shackleford Banks. There are several other Ferry options to get to the Island, but this is the shortest Ferry ride to get to Cape Lookout Lighthouse. There is no fee for parking at the visitor center, but there is a cost to ride the Ferry to visit the Cape Lookout National Seashore. Cost range from $15-$20 per person to ride the Ferry and the ferry ride is approximately 15 minutes. For more information on taking a Ferry to the Cape Lookout National Seashore, click Here. The Cape Lookout Lighthouse is only open is open for climbing from the second week in May to the third weekend in September. Self-guided tours of up to 10 people will begin every 15 minutes during the hours of operation. The current costs for admission when we went was $8 per person, there are discounted prices for children and seniors. The lighthouse may close at any time if conditions (i.e. : temperature/humidity, lightning, or high winds) are determined to be unsafe. The climb to the top is strenuous. It may be hot, humid, noisy and dim inside the lighthouse. Climbing the 207 steps to the gallery is roughly equal to climbing a 12-story building. The stairs are narrow and groups going up will share the stairs with groups returning to the bottom. Make sure to get your tickets to climb the lighthouse early because on busy days the number of tickets can sell out. There is a set number of people able to climb the lighthouse each day and the quota exists because the lighthouse is a very old structure and can only safely accommodate so many people safely. For more information about seasonal hours of operation, click Here. Description of Trail: This is a little different of a write-up than our normal posts as there is not set trail to explore, per se. When you begin your ferry ride from Harkers Island to Cape Lookout National Seashore, you will travel along side Shackleford Banks, which is another uninhabited barrier island. If you are lucky, you will be able to catch a glimpse of the wild horses that inhabit this island. Ashley and I saw several horses while on the ferry ride to Cape Lookout. Our ferry driver was nice enough to come to a full stop to allow visitors the opportunity to take pictures. These horses are descendants of Spanish horses that washed ashore after shipwrecks approximately 400 years ago. There are an estimated 110 wild horses living on Shackleford Banks. During the ferry ride over, you will have Cape Lookout Lighthouse firmly in view. The ferry docks right near Cape Lookout Lighthouse and you exit the ferry right by Cape Lookout Lighthouse. You then hike along a wooden boardwalk to the visitor center, which has a small gift shop, restrooms, and is the gateway to Cape Lookout Lighthouse and Cape Lookout National Seashore. You buy your tickets to climb the lighthouse at this visitor center. At this point you are a short walk to the Cape Lookout Lighthouse and less than a 0.4 mile hike to the Atlantic Coast. There are wooden boardwalks around the visitor center and the Cape Lookout Lighthouse, but outside of that you are walking on flat sandy trails. Further Thoughts: A variety of activities awaits you at Cape Lookout National Seashore. From birding, to camping, to fishing, to learning about the rich history of Cape Lookout Light Station, there is something here for everyone. The main thing is you will need to pack everything you need for your visit to the Cape Lookout National Seashore, because this is an undeveloped barrier island. Ashley and I brought a full day pack with everything from lunch, sunscreen, water, and appropriate clothes. When we first got to the Cape Lookout National Seashore, we immediately purchased our tickets to climb the Cape Lookout Lighthouse. Our scheduled time was not for several hours, so we hiked over to the beach and explored the area. We did a little shelling and then went swimming in the warm Atlantic waters, which during the summer time get over 80 degrees. One of the neat things about being at Cape Lookout National Seashore is there is no development on the island. It is a completely different experience being on an island that has no housing right along the ocean. You look down as far as the eye can see along the coast and there is not a single home on the coastline. It is truly a magnificent sight to see! After enjoying the surf and the sand, Ashley and I headed back over to do our tour of the Cape Lookout Lighthouse. The current Cape Lookout Lighthouse was completed and lit on November 1, 1859 and replaced a shorter lighthouse built in 1812. The double wall structure--the first of its kind in North Carolina--allowed the tower to be much taller than previous designs. The 1859 lighthouse was 163 feet tall and its light reached approximately 15 miles out to sea. Shortly after the improved tower was activated, however, war broke out between the states. The light was extinguished to prevent Union ships from using it to navigate the treacherous North Carolina coast. The light was reestablished with a third order Fresnel lens in 1863 and shone for most of the remainder of the war. For more, on the history of the Cape Lookout Lighthouse, click Here. If you have more than one day to spend at the Cape Lookout National Sea Shore, there is primitive camping available on the island. Campers should prepare carefully for the natural conditions to be found at the park. We saw two groups of people that were going to be camping right on the beach. The waters surrounding the park are feeding grounds for marine mammals and sea turtles. Four sea turtle species - Loggerhead, Green, Kemp's Ridley, and Leatherback - are sometimes seen feeding in area waters. Only the Loggerhead sea turtle regularly nests on the park's beaches during the summer months. The others are found only as juveniles or are just passing through. Birds are the most easily observed animals in the park. Spring and Fall migration brings a number of different species through the park. Stormy weather can drive a few pelagic birds in from the open ocean for a visit. In summer, a number of tern species, egrets, black skimmers, herons, piping plovers and other shorebirds nest within the park's boundaries. Mammals are uncommon on the islands; rice rats, rabbits, river otters, and raccoons are some of the native species found here. On Shackleford Banks is a population of horses that has gone wild and adapted to their environment over the past few hundred years. Although salt and brackish water environments dominate the islands, a few fresh water habitats support tree frogs and Fowler's toads. While diamond-back terrapins prefer the salt marsh areas, the grasslands are the preferred habitat for five-lined racerunner lizards and black racer snakes. For more on the ecosystem of this area, click Here. Ashley and I spent a little more than a half day on the island doing hikes along the beach, exploring the Cape Lookout Lighthouse, and swimming in the ocean. When you visit this area make sure to check the weather forecast before you go and be prepared for the anticipated weather conditions. Rating: Little elevation gain throughout the whole Cape Lookout National Seashore. Can make your day as relaxing or as strenuous as you would like. Time to Complete Hike: Ideally, Ashley and I would recommend spending at least a half a day exploring the area, if not a full day. We spent a half day and would have enjoyed having more time to spend on the island. The Occoneechee Mountain State Natural Area is recognized as one of the most important natural areas inside the Raleigh, Durham, and Chapel Hill Triangle. The Occoneeche Mountain State Natural Area provides great hiking through various habitats that support species that area rare and significant to this region. This area provides fun hiking and outdoor recreation opportunities for the entire family. Ashley and I really enjoyed being able to hike at the Occoneechee Mountain State Recreation Area on our most recent visit to North Carolina. Directions to Trailhead: To hike in the Occoneeche Mountain State Natural Area, from I-85 take exit 164, turn north onto Churton Street, turn left at the stop sign onto Orange Grove Road, and turn right onto Virginia Gates Road and follow the signs all the way to the parking area. The address of the Occoneeche Mountain State Natural Area is 625 Virginia Cates Road, Hillsborough, NC 27278.There is no cost for parking at the trailhead area. The park hours are as follows: November - February, 8 a.m. - 6 p.m.; March, April, September & October, 8 a.m. - 8 p.m.; and May - August, 8 a.m. - 9 p.m. the park is closed on Christmas Day. This past summer, Ashley and I had the chance to visit the Eno River State Park again, which is a fun hiking location right in central North Carolina. The Eno River State Park is located in Durham and Orange counties, northwest of the city of Durham. The Cox Mountain Trail is located in the Western portion of the Eno River State Park. The Cox Mountain Trail is a loop and is 3.75 miles roundtrip. The hike can be lengthened by adding the Fanny's Ford Trail loop, which adds another mile to the distance. For a detail trail write-up with directions and trail statistics on this hike, make sure to check out our write-up and click Here. Ashley and I have always enjoyed hiking in the Eno River State Park while on our summer visits to North Carolina. While hiking here this past summer we had the chance to see deer, turtles, frogs, and other wildlife. Additionally, we had the trails mostly to ourselves which was great. The hiking trails here are always well maintained and the suspension bridge is always a highlight of this hike. Enjoy the pictures from our most recent hike at the Eno River State Park during the summer of 2014. For those that Regularly hike at the Eno River State Park, Here are a couple of events happening during the month of February! Join the Occoneechee Park Ranger and help complete the improvements on the Occoneechee Mountain Loop Trail. Call 919-383-1686 to more details and to sign up. Limit 12. Did you forget Valentine's Day? It's a great time of year for a two-mile hike with your sweetie. Join a ranger for a walk back in history and learn about Americans that lived in these parts and how they lived. Call 919-383-1686 to register. Limit 15. 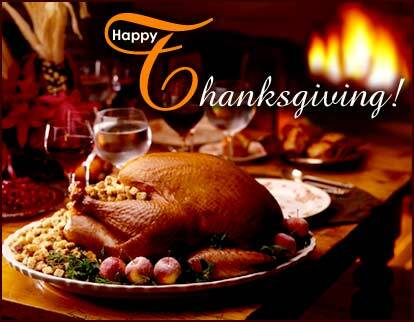 Ashley and I wanted to wish everyone a Happy Thanksgiving. We hope you have a wonderful day celebrating with family and friends. We truly have so much to be thankful. Remember, the day after Thanksgiving is a great day to get out and do some hiking while everyone else is shopping at stores on black Friday. We will be out hiking tomorrow, anyone else got any big hiking plans during this holiday weekend? Recently the folks at Peachtree Publishers sent Ashley and I a book to review titled: Hiking the Shining Rock & Middle Prong Wildernesses by Tim Homan. Tim Homan is an experienced hiker and is widely known as an expert on hiking the trails of the Southeast. He is the author of other regional hiking guides, including Hiking Trails of North Georgia, Hiking Trails of the Cohutta and Big Frog Wilderness, and Hiking Trails of the Joyce Kilmer - Slickrock and Citico Creek Wilderness. Hiking the Shining Rock & Middle Prong Wilderness contains write-ups on 34 different trails in sections of the Pisgah National Forest and near the Blue Ridge Parkway. One of the great things about the book is the detailed history of the region that the book provides. The book provides a history the Shining Rock Region which was once part of the Cherokee Nation. The book also provides a detailed historical account of how the Blue Ridge Parkway was constructed. Additionally, the book talks about the development of North Carolina's Mountain to Sea Trail system, and other preservation efforts in North Carolina. The hikes in the book are broken down by geographical region. Part 1 contains hikes in the Shining Rock Wilderness, Part 2 are hikes in a nonwilderness area, and Part 3 are hikes in the Middle Prong Wilderness. Each hike provides a rating on how strenuous each hike is, the location of where the trail begins, and other pertinent details of what to expect while hiking on the trail. The author has taken his time in providing you an account of what to expect when on the trail. One of the neat features of the book that Ashley and I liked was the Nature Notes category of each hike write-up which details the type of unique flora and fauna that is found on each particular hike. The only improvement that could be made in the next addition of the hiking guide would be to provide an individual trail map for each hike. As currently printed, the trail maps are present at the beginning of each section as a generic overview. Additionally a couple of more pictures in the book would be a great addition as well. Overall, this is a detailed in-depth guide for these hiking trails in the Pisgah National Forest and Ashley and I are looking forward to visiting several of these hiking trails in the near future! Welcome to our hiking blog! To find a trail or activity use the tabs on the top of the blog. We hope that you find our website helpful in locating and learning about great North Carolina Trails and Hikes. NOTE: We attempt to provide our best description of trail conditions and what to expect when you hike on a given trail. As always, our write-ups reflect the view of what the trail conditions were at the time we hiked it. Make sure to always be prepared for any hike that you undertake in a wilderness or urban wilderness setting, by bringing enough water, food, having proper clothing, gear, shoes, a map, as well as telling someone where you are going and when to expect you back.